The Charlotte Mint was the first United States branch mint. It was located in Charlotte, North Carolina and specialized in gold coinage. Following the first documented discovery of gold in the United States, the country's first gold mine was established in North Carolina at the Reed Gold Mine. As no mints existed in the Charlotte area, miners had to send their gold dust to Philadelphia to be melted and coined The transportation process was difficult, slow, expensive, and dangerous, and frustration with this system led to the creation of private gold coining operations in the Charlotte area. However, making gold into local money had its own inherent problems, such as accurate weighing and determining fineness. In the spring of 1831, North Carolina merchants and miners petitioned Congress for a branch mint in the Charlotte region to reduce the risk of transporting gold. They received no response until three years later when the United States Treasury began to investigate private coining operations and recognized North Carolina's need for more federal coinage. 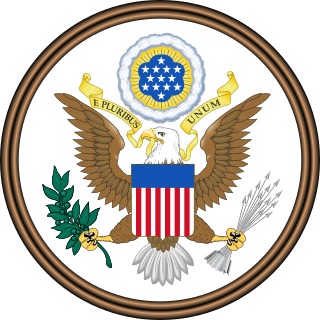 On March 3, 1835, the United States Congress approved an Act 115 to 60 to establish several branch mints; the act stated, "...one branch [to be established] at the town of Charlotte, in Mecklenburg County, in the state of North Carolina, for the coinage of gold only...And for the purpose of purchasing sites, erecting suitable buildings, and completing the necessary combinations of machinery...for the branch at Charlotte, fifty thousand dollars". This Act also authorized mints at Dahlonega, Georgia, and New Orleans, Louisiana, after President Andrew Jackson signed it into law. In November, 1835, Levi Woodbury, Secretary of the Treasury, was notified by Samuel MeComb that he had purchased from William Carson and F. L. Smith a full square containing 4 acres of land for $1,500.00, which is now the 400 block of West Trade Street. Proposals for erection of the building were advertised and the contract was awarded to Perry & Ligon, of Raleigh, NC on October 15, 1835 at a price of $29,800.00. In 1836, construction on the Charlotte Mint began. It opened for business on July 27, 1837. Only raw gold was processed and refined until March 28, 1838, when the first $5 gold half eagle was struck in Charlotte. 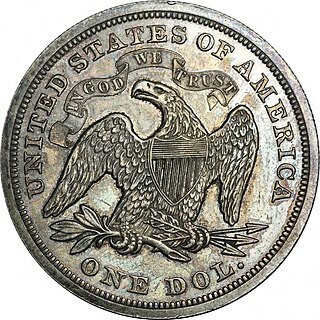 Later that year, $2½ quarter eagles were minted, and 1849 production started on a small gold dollar. All gold coinage coming from this mint has a "C" mint mark to distinguish it from other sister mints then in operation. The Charlotte Mint issued over $5 million in gold coins over the course of nine years – 1849-55, 1857, and 1859. Coins produced in 1850, '52, '55, and '59 are considered rare or very rare, and 1854 coins are nearly unattainable as only four pieces were coined. In May 1861, North Carolina seceded from the Union. The Confederacy seized the Charlotte Mint along with those at New Orleans and Dahlonega.The Confederate government continued coining operations until October when it became clear it was a futile effort. The mint was then converted into a hospital and military office space for the remainder of the Civil War. Federal troops used the offices for the first few years of Reconstruction. In 1867, the U.S. government downgraded it to an assay office due to a shortage of gold dust. In 1873, the General Assembly of North Carolina petitioned Congress to reopen the mint at Charlotte. This request was denied. The Assay office operated until 1913. From 1917 to 1919, the Charlotte Women's Club met in the building. It also served as a Red Cross station during World War I. In 1931, the building was to be demolished to make room for the post office expansion next door. A coalition of private citizens acquired the structure from the U.S. Treasury Department in 1933. They relocated the structure a few miles south of downtown Charlotte, to the historic neighborhood of Eastover on a plot of land donated by E.C. Griffith. In 1936, it was dedicated as the Mint Museum of Art, the first art museum in North Carolina. On display are thousands of items, along with a complete collection of all gold coins minted at the Charlotte Mint. The museum also includes a reference library with over 15,000 volumes and a theater featuring lectures and performances. Charlotte Mint gold coins range from scarce to extremely rare. They are some of the most desired items in numismatics today. ^ a b c d Kagin, Donald H. (1981). Private Gold Coins and Patterns of the United States. New York, N.Y.: Arco Publishing, Inc.
^ Twenty-Third Congress (March 3, 1835). An Act to establish branches of the mint of the United States. pp. Session 2, Chapter 39, Statute 2. ^ Heaton, Augustus Goodyear (May 1893). A Treatise on the Coinage of the United States Branch Mints. Washington, D.C.: A. G. Heaton. p. 44. ^ a b "History: Mint Museum Randolph". The Mint Museum. Retrieved 7 June 2018. D. Winter, Charlotte Mint Gold Coins, Bowers and Merena Galleries, 1987. An illustrated catalog of all gold coins produced at the Charlotte Mint. R. W. Burdette, From Mine to Mint: American Coinage Operations and Technology, 1833 to 1937, Seneca Mills Press, March 20, 2013. Text detailing the technology, equipment, and operations of the United States Mints from 1833 to 1937. Wikimedia Commons has media related to Charlotte Mint. The Dahlonega Mint was a former branch of the United States Mint built during the Georgia Gold Rush to help the miners get their gold assayed and minted, without having to travel to the Philadelphia Mint. It was located at in Dahlonega, Lumpkin County, Georgia. Coins produced at the Dahlonega Mint bear the "D" mint mark. That mint mark is used today by the Denver Mint, which opened many years after the Dahlonega Mint closed. All coins from the Dahlonega Mint are gold, in the $1, $2.50, $3, and $5 denominations, and bear dates in the range 1838–1861. The New Orleans Mint operated in New Orleans, Louisiana, as a branch mint of the United States Mint from 1838 to 1861 and from 1879 to 1909. During its years of operation, it produced over 427 million gold and silver coins of nearly every American denomination, with a total face value of over US$ 307 million. It was closed during most of the American Civil War and Reconstruction. The Denver Mint is a branch of the United States Mint that struck its first coins on February 1, 1906. The mint is still operating and producing coins for circulation, as well as mint sets and commemorative coins. Coins produced at the Denver Mint bear a D mint mark. The Denver Mint is the single largest producer of coins in the world.. The Carson City Mint was a branch of the United States Mint in Carson City, Nevada. It primarily minted silver coins; however, it also minted gold coins, with a total face value in dollars nearly equal to that of its silver coins. The mint minted coins in 21 different years. The Carolina Gold Rush, the first gold rush in the United States, followed the discovery of a large gold nugget in North Carolina in 1799, by a 12-year-old boy named Conrad Reed. He spotted the nugget while playing in Meadow Creek on his family's farm in Cabarrus County, North Carolina. Conrad took the 17 lb gold nugget home to show his father. However, gold was not commonly seen in their community and the value of the nugget was not understood. The nugget was used as a door stop in the family's home for several years. In 1802, Conrad's father, John Reed, showed the rock to a jeweler, who recognized it as gold and offered to buy it. Reed, still unaware of the real value of his "doorstop," sold it to the jeweler for $3.50. The Coinage Act of 1853, 10 Stat. 160, was a piece of legislation passed by the United States Congress which lowered the silver content of the silver half dime, dime, quarter dollar, and half dollar, and authorized a three dollar gold piece. Although intending to stabilize the country's silver shortage, it, in effect, pushed the United States closer to abandoning bimetallism entirely and adopting the gold standard.